The United Nations and aid partners on Tuesday said they need $5.5 billion to support countries hosting millions of Syrian refugees, including a million babies born in displacement. 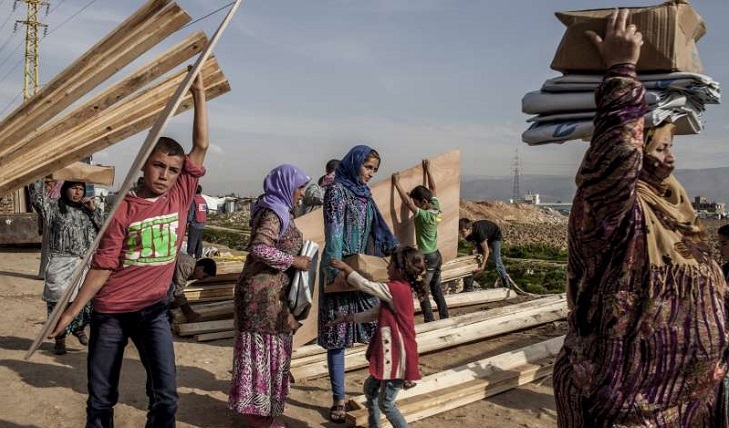 The "Regional Refugee and Resilience Plan" aims to help Egypt, Jordan, Lebanon, Iraq and Turkey deal with the impact of hosting some 5.6 million Syrian refugees. "These neighbouring countries have remained incredibly generous in hosting large refugee populations since the start of the crisis" in Syria in March 2011, a statement said. It noted that providing refuge to millions of Syrians who have fled the devastating conflict is "challenging" and has taken a toll on public services and the "development trajectories" of the host countries. "Some 5.6 million Syrian refugees are currently registered across the region with around one million newly born in displacement," the statement said. "These one million children have largely been born into a situation where poverty and unemployment are common, early marriage and child labour occur, and an education is not always secure," said Amin Awad, the UN refugee agency's director for the Middle East and North Africa. The $5.5 billion plan for 2019-2020 by the UN and more than 200 partner aid groups is designed to target more than nine million people across five countries, the statement said. It will fund several projects for refugees, including education for children as well as "enhancing basic services and economic opportunities", it added. "Vulnerable host communities... face deepening socio-economic challenges," it said, adding that the plan aims also to support the work of local institutions and municipalities who work with refugees. Syria's civil war has killed more than 360,000 people since it started with the brutal repression of anti-government protests in 2011, and has displaced 6.6 million internally in addition to those who fled abroad.